Asus Zenfone Max Pro M2 Officially Launched in Rusia. But Max Pro M2 is all set to witness an unveiling in India on December 11 at a launch event scheduled by the Taiwanese phone maker. Just before the India launch, however, this phone alongside the Asus ZenFone Max M2 has been listed on Asus’ official website in Russia as well as on Russian retailer portals. As seen in the leaks previously, both smartphone sport display notches and come with tall, bezel-less 19:9 displays. Let’s check out the details of both the new Asus phones. Asus Zenfone Max Pro M2 will be coming with a glass back along with a rear-mounted fingerprint sensor. Moreover, it comes with a 6.3-inch (2280 × 1080 pixels) Full HD+ 19:9 display with the protection of the latest Corning Gorilla Glass 6 on top. There is an Octa-core Snapdragon 660 SoC coupled with 4GB of RAM and Adreno 512 GPU. Zenfone Max Pro M2 will be coming with Android 8.1 Oreo operating system which might also get further updates. On the camera front, we have a 12MP camera on the rear with LED flash along with a Sony IMX486 sensor with f/1.8 aperture size and a secondary camera of a 5MP sensor. For selfies, the company has provided a 13MP camera on the front with an LED flash. The smartphone will come with either 64GB or 128GB of onboard storage which can be extended further up to 2TB via microSD card slot. 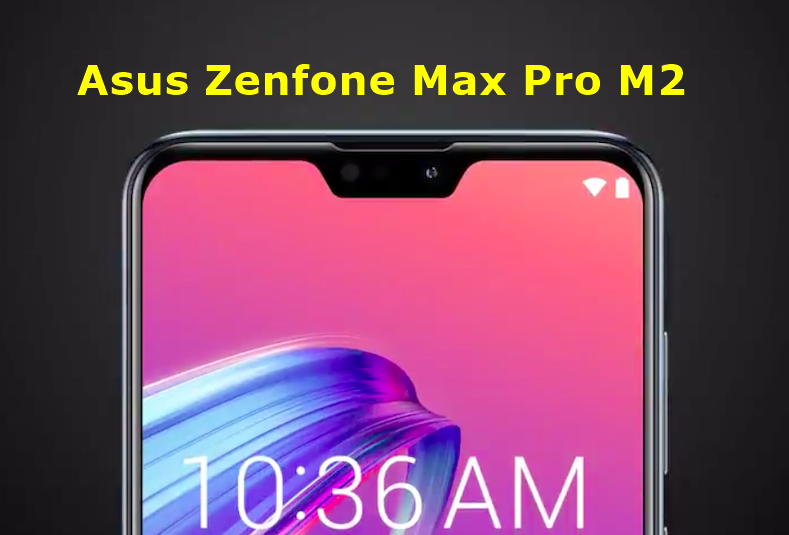 The Asus Zenfone Max Pro M2 will be coming with a 5000mAh battery on the back but lack the fast charging technology. On the rear, we can find a fingerprint sensor to enhance the security levels. It is a dual 4G VoLTE variant with the connectivity options like Bluetooth v5, GPS, A-GPS + GLONASS along with the sensors that are required for the automation of the smartphone. Well, are you planning to get this handset? Comment in the section below. If you liked this post share it on social (Facebook, Twitter, GooglePlus, Instagram, LinkedIn, Tumblr) media and consider checking out our other blog posts to stay updated with the latest Tech Content!